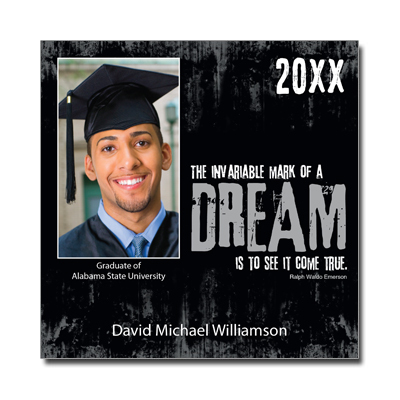 Announce your graduate's accomplishment with this edgy, youthful design. Your favorite photo is displayed on a black grunge texture alongside a quote from Ralph Waldo Emerson on this one-of-a-kind announcement. Card measures 5.875in. square. Additional postage required.